Welcome to the Library– of Karis’ ILLUSTRATED stories! Karis believes in making even his text stories illustrated, so you get more diapery content! Enjoy! Barnaby St. Bernard is new in town, and kind of lonely. So he goes out to a local pub to relax– and meets Max, a lonely type of bear. These two might have ignored each other but for a chance accident– Max wets his pants, right there at the bar!Having had too much beer, Barnaby is soon suffering the same plight– and the only way out is to trust a stranger, or perhaps Max will become a new-found friend? 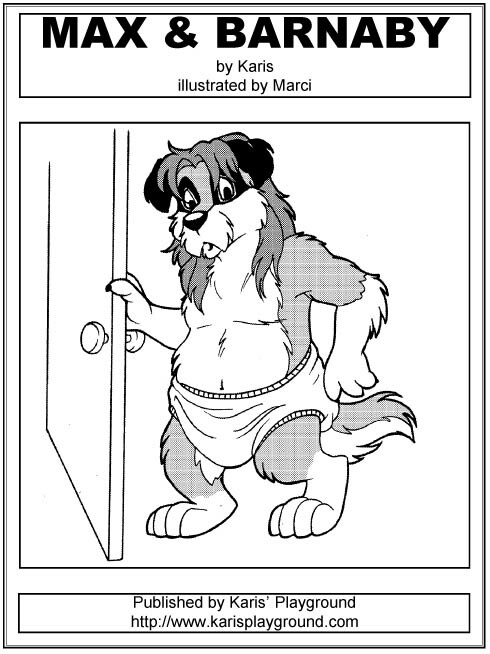 When Barnaby is taken back to Max’s place, he sees a whole closet full of diapers and baby clothes; looks like there’s more to this little bear than meets the eye! You’ve seen “X-Men: Evolution” on tv, now you can go “behind the scenes” and find out what young Nightcrawler, aka Kurt Wagner, went through when he first arrived at the Xavier Institute.Kurt is a long way from home, and when the story opens, he’s having some troubles adjusting to life at Xavier’s. Namely, he’s started wetting the bed! 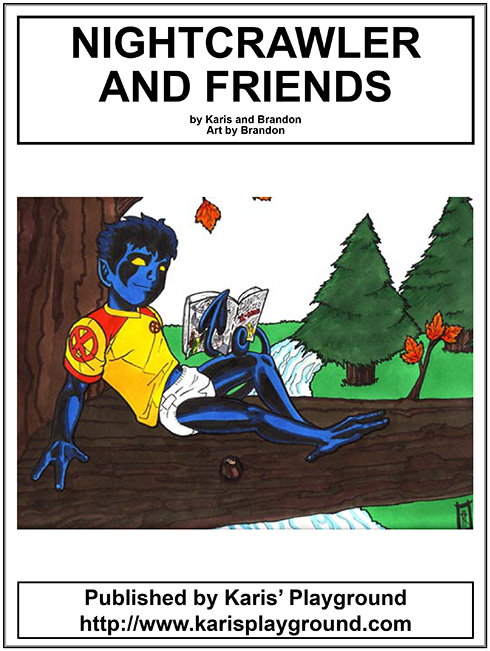 But Hank McCoy, the bodacious Beast, catches him washing his wet bedsheets and reveals some things to Kurt that are sure to help him cope with this embarrassing problem… or will they just make them worse? Riverdale is a Gargoyle– a winged defender of the night, an immortal mystical creature. 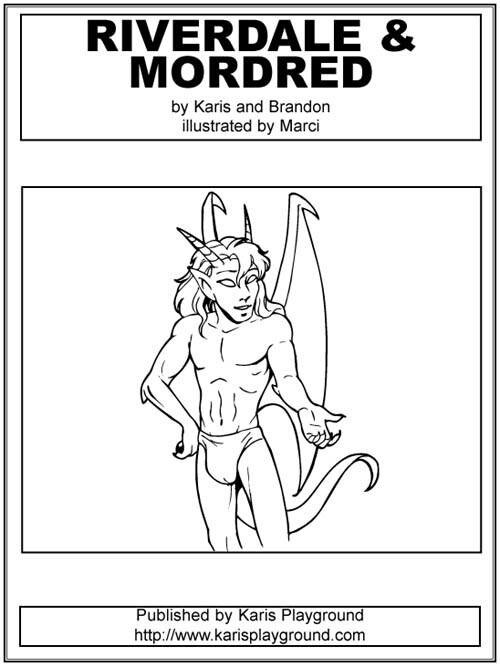 Mordred is the son of Arthur and Morgaine le Fey, in immortal mystical being as well.A chance meeting on a dark night introduces the two to each other; Riverdale is curious about Mordred, having heard the legends surrounding this enigmatic figure. But what Riverdale ISN’T prepared for is for Mordred to tell him that even after centuries, he’s still in DIAPERS! Read the exciting account of Riverdale and Mordred as they discover each other, and share their love for babyhood and diapers. Two old friends, Snowfall and Firemane, discover the joys of wetting their pants during a wrestling, tickling match in the forest. 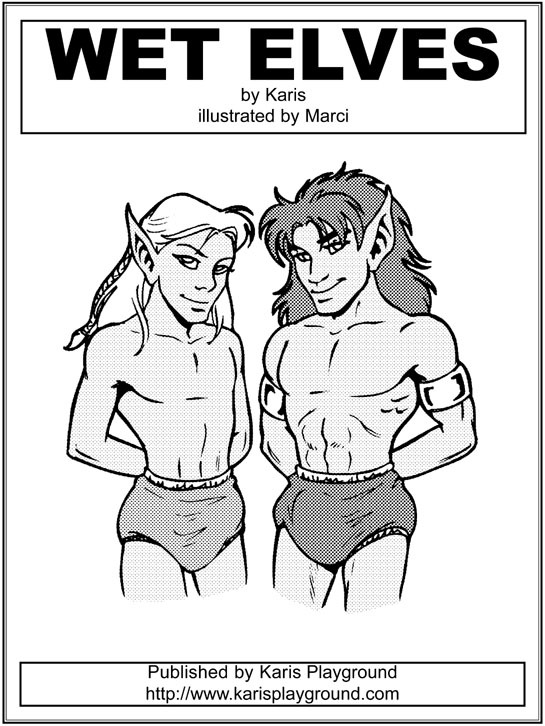 It starts out as a “who will win, and who will wet” contest, and rapidly evolves into something more!The two elves begin to enjoy wetting their tight leather pants, and discover their attraction to each other as well– but what happens when Snowfall’s wife discovers their wet play? Will they have to spend the rest of their days in diapers, being treated like babies by a domineering mommy?